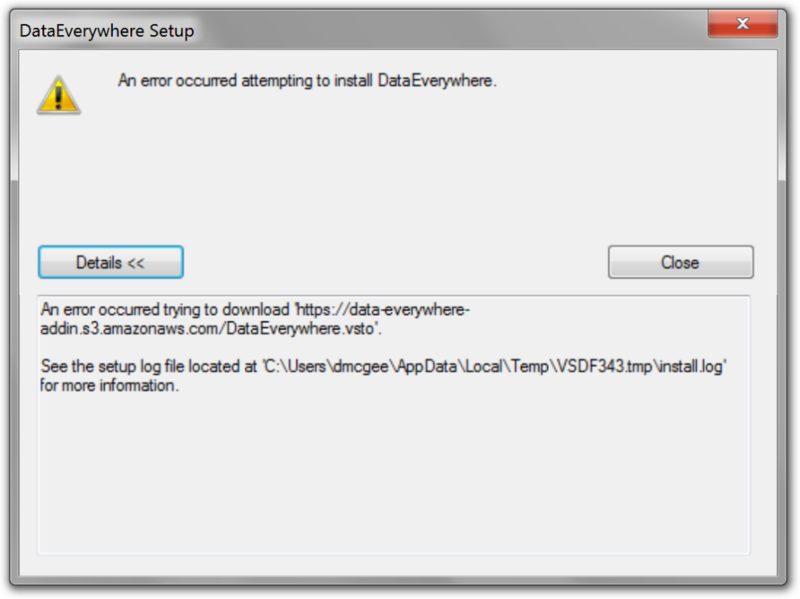 During installation of the Excel Add-in, you may receive an error dialog with title "DataEverywhere Setup" and text stating "An error occurred attempting to install DataEverywhere." If the Details button is clicked and the dialog expands, you may see text such as "An error occurred trying to download 'https://data-everywhere-addin.s3.amazonaws.com/DataEverywhere.vsto'". To resolve this, ensure you are on a stable Internet connection and run the installer again. If you continue experiencing problems, please contact Data Everywhere support.